The bus that FC Barcelona will use during their US tour is almost ready. The visit to the USA is an important event and the blaugrana bus will reflect that once it has completed its makeover. 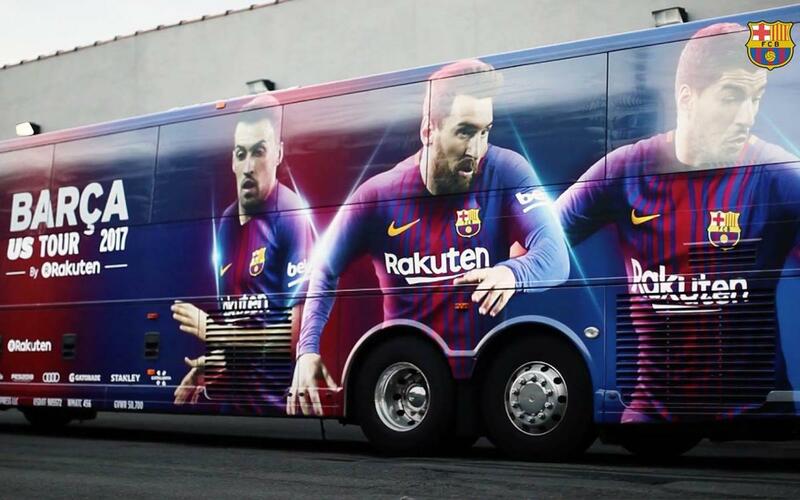 The bus will be used by the players to travel to training sessions and the various events that will take place in FC Barcelona’s 10 day tour of the United States. Barça will play three matches during the tour, the first against Juventus on Saturday, 22 July (6pm Eastern Standard Time), then Manchester United on Wednesday 26 July (7.30pm EST) and finally against Real Madrid on Saturday 26 July (7.30pm EST).